Max Kolar focuses his practice in providing counsel on intellectual property with a focus on preparing and prosecuting international and US patent applications, primarily in the chemical and related arts. Prior to joining Abel IP, Max began his career as an intellectual property attorney at the Detroit Michigan based I.P. law firm, BrooksGroup, PLC. As an associate with BrooksGroup, Max gained experience in all aspects of preparing and prosecuting U.S. and foreign patent applications for technologies in the chemical, mechanical, electrical, and computer science fields. He worked directly with clients, inventors and in-house counsel to evaluate, explain, capture and protect all aspects of their intellectual property. Max also gained expertise in drafting and analyzing patentability, infringement, invalidity, and freedom to operate opinions in the chemical and mechanical arts, as well as providing litigation support. 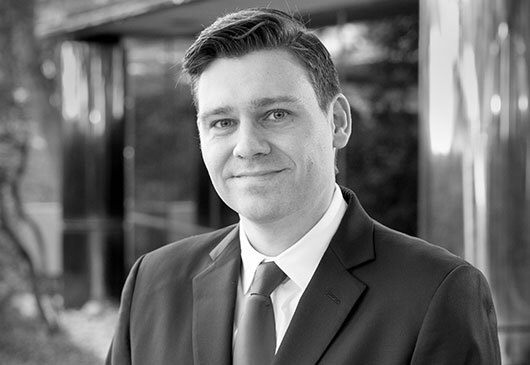 Max also has experience in evaluating commercialization of intellectual property while working at a technology transfer office at Michigan State University, and experience with analyzing appeals cases while working as a clerk/extern at the Patent Trial and Appeal Board at the United States Patent and Trademark Office. Preparing and prosecuting patent applications, particularly in the fields of chemicals, composite materials, automotive components, petroleum compositions, and semiconductor materials. Providing patent litigation support in cases dealing with infringement of chemical unit operation devices and processes.